PURE EMU OIL BUTTER is rich in essential fatty acids a combination of omega 3 & 6 and 9, vitamins A & E.
PURE EMU OIL BUTTER is suitable for all skin types. PURE EMU OIL BUTTER is suitable for all skin types. 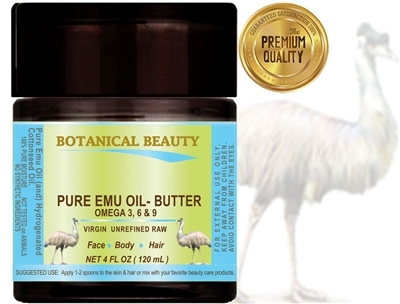 PURE EMU OIL- BUTTER is suitable for all skin types.